On a crisp winter afternoon in late February we drive through the gates to Foster Hill Road Cemetery, a little late for our appointment. A well known mapping tool under-estimated our journey time by about ten minutes, eating into the time-to-find-a-parking-space allowance I had planned. Following the snaking track up the hill through the gravestones, we pull up just outside a small chapel, guessing this must be the venue due to the cars clustered outside. The you-have-arrived message on my phone and the smiling face of a lady ‘looking for stragglers’, confirm that we are indeed in the right place. What kind of event, other than the obvious, might be held in such a location? 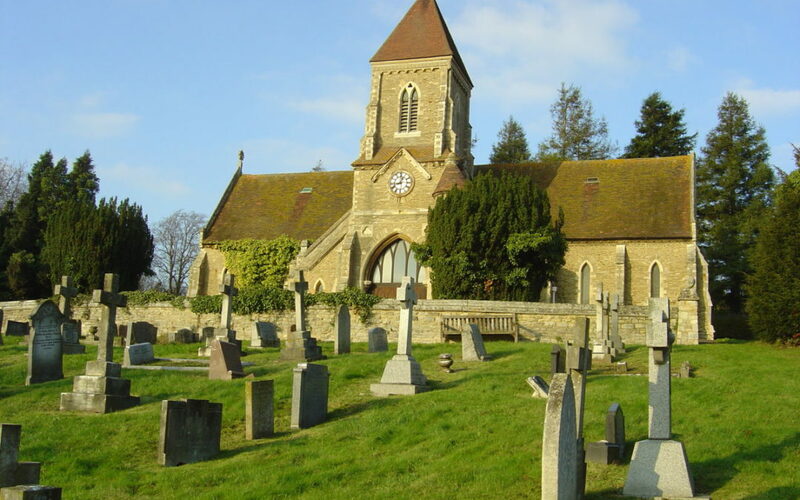 Surprisingly, the Friends of Bedford Cemetery organise many events and talks throughout the year, according to their website, to ‘promote and preserve the history, landscape and natural history’ of the Grade II listed cemetery. The charity, reliant on volunteers, is always looking for new members to join their ranks, so if you are interested click here to find out more. Back to our visit. 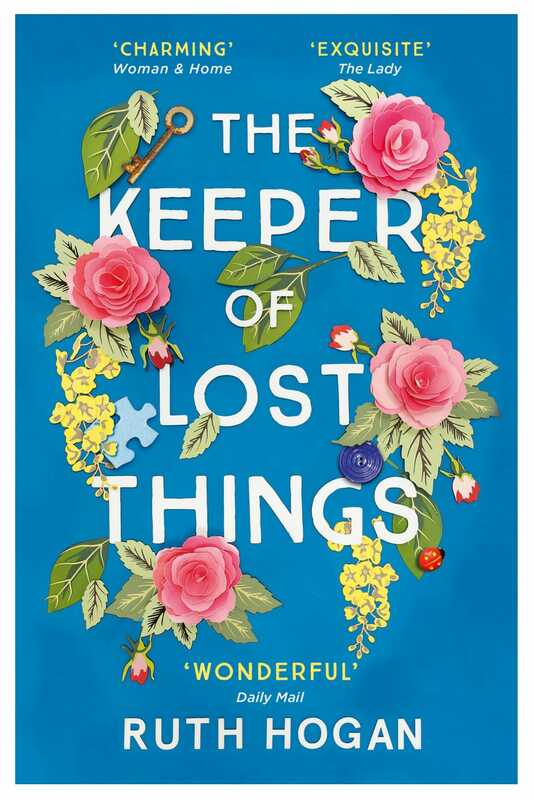 We are here for a talk by Sunday Times Bestselling author, Ruth Hogan writer of The Keeper of Lost Things, and the much anticipated, The Particular Wisdom of Sally Red Shoes, which will be published in May this year. Thankfully, we find spaces on a pew at the back of the chapel and settle in time to catch the beginning of Ruth’s explanation of her love for the Victorian cemetery and its inspiration for her writing. Cemeteries in general, often a source of character names for many writers, have fascinated Ruth since childhood. This one in particular is associated with fond memories of Grandad Charlie, Sunday rides in the car and her sister’s teenage escapades. It held the added appeal of being off limits; Taboo didn’t scare Ruth. Quite the opposite. For her it was a place of calm, full of stories of lives and deaths to fuel the imagination. Still today, both she and her rescue dogs experience that calm on their regular walks. Far from being macabre or creepy, she finds solace conversing with the dead ‘who are sometimes easier to spend time with than the living.’ The residents of the cemetery are party to plot and character discussions and often help Ruth work through ‘knotty problems’ as she wanders up and round the paths. Ruth is not the first successful author I have heard mention dog-walking time as writing time. She also often listens to music on the way which then triggers the words on her return to her desk; a soundtrack to her story. Whilst we are yet to adopt a four-legged friend into our family – it is something I have been seriously considering – I can relate to the music trigger. Mine, for my first novel, Pivotal, included albums by The Killers and a Latin dance compilation. Ruth tells us hers, for The Particular Wisdom of Sally Red Shoes, was the ethereal Danny Elfman soundtrack to Edward Sissorhands. Describing herself as a ‘documentary junkie’ Ruth gives us insights into various strands of research and inspiration for both her books: from an article about unclaimed ashes at funeral directors, and the architectural asylum photographs by Christopher Payne for The Keeper of Lost Things, to the Victorian mourning rules in The Book of Etiquette by Lady Troubridge and the explanation for the Latin name of The Strawberry Tree, for ‘Sally Red Shoes’. Reading the openings to both books and recounting several entertaining anecdotes of encounters with her cemetery friends, from angelic statues to protective crows, Ruth brings the vivid, if quirky, backdrop for her second novel to life. It is a privilege to see the world through her eyes and bear witness to the alchemic method of her creative mind. You might have the impression her books are as dark as they are deathly. Far from it. 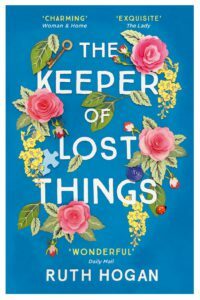 I can’t speak of ‘Sally Red Shoes’ as it is yet to be published, although Ruth describes its essence as ‘finding joy in the smallest things.’ I can highly recommend The Keeper of Lost Things, my number one read in 2017 and already one of my all-time favourites. The story is poignant and gentle, the writing clever and beautiful, full of nuggets of short stories woven into its fabric which stand alone as tales to be admired. The secrets hidden within the lives of the main characters are released slowly and masterfully to keep you wanting more. Parallel narratives have momentary connections where their threads conjoin. Mischievous, delicious and laugh-out-loud funny in places, the book is full of great conversations and believable characters to befriend. We are treated to a satisfyingly predicable conclusion without being conscious of the breadcrumb trail we have been following to take us there. Every page pulled me safely into the clearing of its neatly rounded ending. Having finished writing my own novel, Pivotal, last year, I had returned to my other love, reading – partly to satiate my appetite for fiction, put on hold during the writing phase and partly to understand today’s debut market – devouring as many books as I could squeeze into my hectic life. I stumbled across Ruth’s beautiful book at Heathrow, on my first ever journey to Australia. It will forever be tied in my memory to that experience. A modern-day classic, I can only aspire for Pivotal to be its future shelf-ly neighbour in bookshops. Needless to say, publication day for The Particular Wisdom of Sally Red Shoes can’t come around soon enough for me!